The sleek finish of the Realspace Mezza collection exudes a contemporary look for your home office or small business space. Distinctive laminate wood, polished metal and modern glass surfaces offer a unique combination that's stylish and functional. Pieces sold individually. Simple assembly is required. 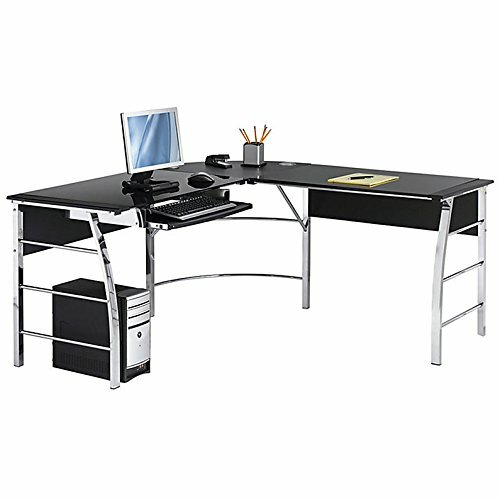 L-shaped desk design offers a flexible, customized look. Stylish glass work area provides plenty of room to spread out! Wide pullout keyboard tray saves space. Tray is left- or right-adjustable, depending on your office setup. Cord management keeps cables neat.